“The earliest signs of human settlement in County Sligo date to the Mesolithic period (Middle Stone Age – c.7000-4000 BC). The presence of these early hunter-gatherer communities who exploited the rivers, lakes, marine and other natural resources around them is indicated by archaeological finds from Lough Gara near Monasteraden, and from investigations at Carrowmore. There is much evidence of Neolithic (Late Stone Age – c.4000-2500 BC) activity in County Sligo due to the extremely high number of megalithic monuments. The area of County Sligo is only 2.5% of the total area of Ireland, yet c.220 megalithic monuments are found here – 15% of Ireland’s total number (c.1450). Different types of megalithic monuments can be encountered in the county and according to their construction, and to a certain extent to the finds made, these monuments have been categorised into four main types: court tomb, portal tomb, passage tombs and wedge tombs. We are lucky to have numerous historical monuments and heritage sites around the county that are ideal for exploring on a family day out or weekend getaway. Creevykeel Court Tomb is a monument which is located near the Tievebaun Mountain close to the sea near Mullaghmore in County Sligo. This impressive monument dates back to the Neolithic Period (c. 4000 – 2500 BC) and was the location of many rituals. A burial chamber consists of two compartments at the North West of the site. The cairn measures 55m in length and 25m wide at the eastern end, where the entrance to the court is located. 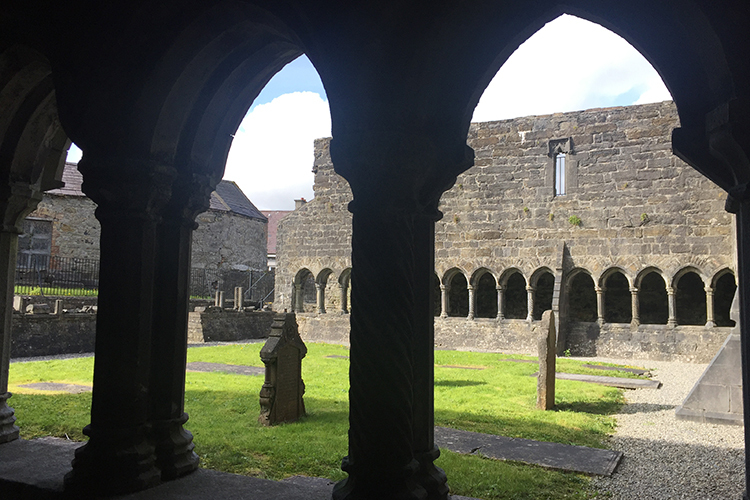 Sligo Abbey is a Dominican Friary and was founded in the mid – 13th century by Maurice Fitzgerald. It is located in the centre of Sligo Town. The site contains numerous carvings including Gothic and Renaissance tomb sculpture. The site also has the only sculptured 15th century high altar to survive in any Irish monastic church. Carrowmore is home to the largest and oldest collection of stone circles and dolmens known from Neolithic Ireland. These monuments are also among the country’s oldest, with the oldest pre-dating Newgrange by 700 years. Archaeologists have recorded over 60 tombs of which 30 are visible. 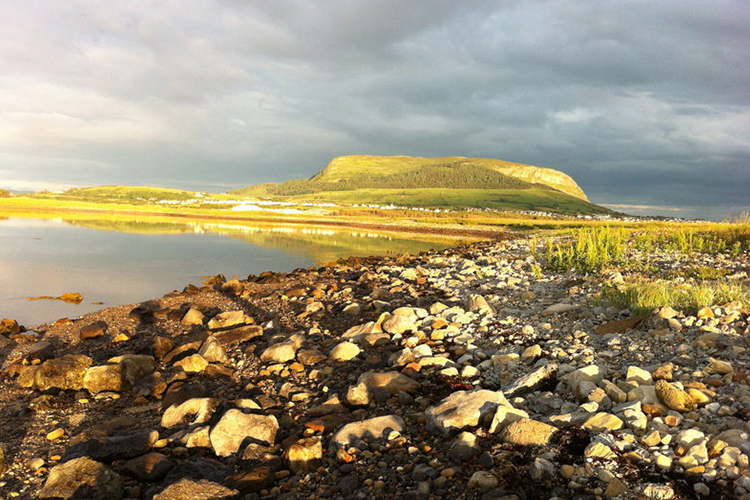 Knocknarea stands between Sligo Bay and Ballisadare Bay, about 4 miles west of Sligo Town and overlooks the village of Strandhill. On reaching the top you will be greeted by a mound of stones or “Queen Maeve’s grave”. It is believed that Maeve, the legendary queen of Connacht is buried underneath the large heap of stones. Enjoy spectacular views of the Sligo and Wild Atlantic Way coastline from the summit. 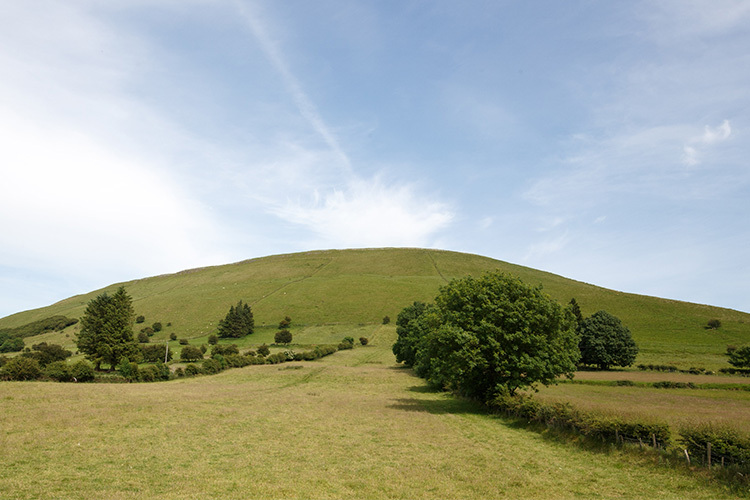 Knocknashee, also known as ‘Hill of the Fairies’ is a fortified hilltop located about 10 minutes from Tubbercurry. The site is situated on a table-top plateau with stunning views of the surrounding countryside. The enclosed hill fort has limestone ramparts containing cairns, burial chambers and hutsites. The fort is 700 metres long and 320 metres wide and is enclosed by two earth and stone ramparts covering an area of 53 acres. 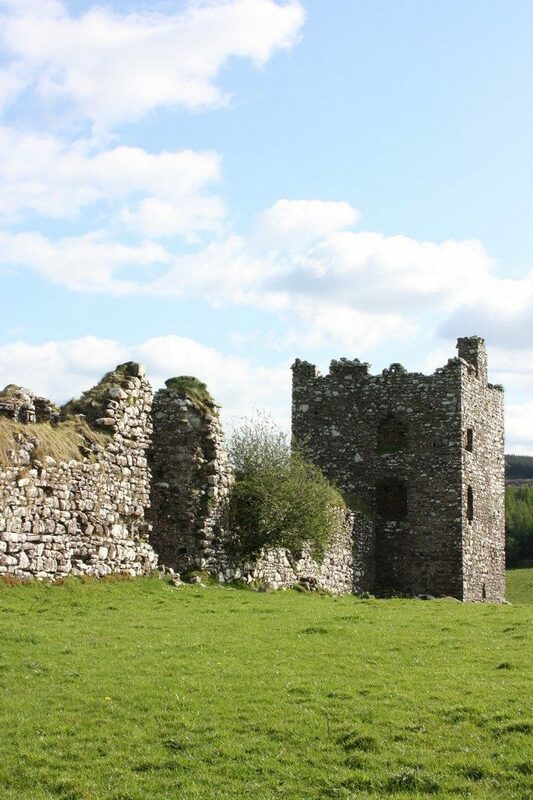 The castle of Moygara was the principle fortress and dwelling of the O’Gara family. The castle stands on a slight elevation with great views, particularly to the south. The building consists of a plain rectangular tower with flanking angled towers at each corner. All the gun loops are intact, and the rectangular windows in the upper floors of the towers are also in good condition. Heapstown is the site of the largest cairn in Ireland and is located north of Lough Arrow in south Co. Sligo. The site is steeped in history and is unique in that it is located on low ground. The cairn itself is deemed to be a passage grave and is 60 metres in diameter and almost 6 metres high. A kerb of large limestone slabs feature around the base. Carrowkeel is a Neolithic hilltop passage tomb complex located on the northern plateaus of the Bricklieve Mountains. It contains 14 passage cairns identified with letters and is one of a series of limestone plateaus aligned towards Knocknarea. Carrowkeel is one of the most spectacular and breath taking archaeological sites in Ireland.